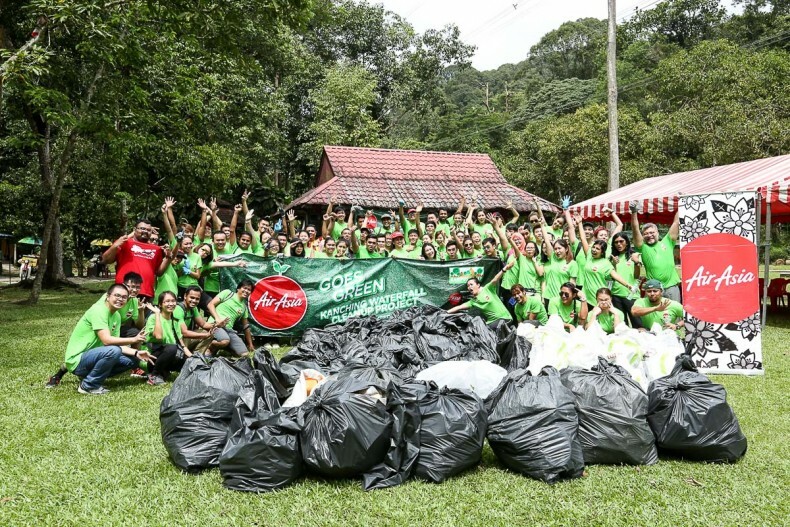 A waterfall clean-up activity at the Kanching Rainforest Waterfall in Rawang on 28th November marks the start of AirAsia’s campaign to promote environmental sustainability awareness. Themed #Green24, this first event, which saw 150 participants from across the AirAsia group and the Tune Group of companies working together in collaboration with Malaysian NGO SARAP Campus, to clean up the popular attraction. 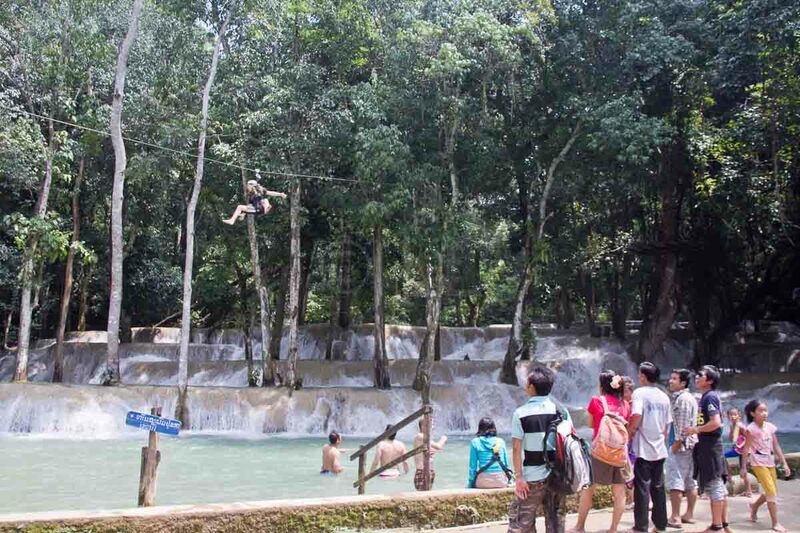 The rubbish and waste collected during the waterfall clean up will be segregated and weighed accordingly for record and benchmark purposes against future clean-up activities. …Climate change is a key global issue which cannot afford to be ignored anymore. We want to do our part, but not just as a campaign but also a lifestyle and culture within the company. We have been actively implementing energy and fuel saving initiatives in our operations for the past few years, and we are starting this #Green24 campaign to generate more awareness towards creating a sustainable environment for our future. The environmental sustainability awareness campaign will see the AirAsia Group and the Tune Group of companies working with the Asian Aviation Centre for Excellence to carry out both internal and external initiatives throughout the #Green24 campaign to promote awareness towards the issue of climate change. AirAsia has been actively sourcing for ways to inject the sustainability factor into its operations, including engineering, flight operations and fuel saving initiatives. The #Green24 campaign will continue as a group-wide initiative and is expected to culminate in another focus event in January 2016 including participants from the Tune Group and the Asian Aviation Centre of Excellence. 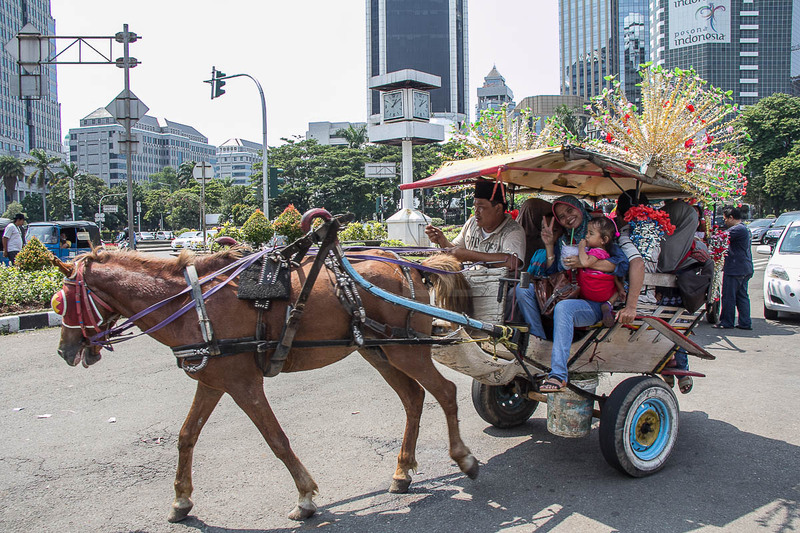 The 24-hour program will include activities aimed at conserving energy, raising awareness on climate change and working towards developing a sustainability-aware culture within AirAsia and the industry.